Hello! In this exploration I take you to the former CO.SAR Cotton Mill, a building abandoned since 1995 and has been the protagonist of various judicial vicissitudes. The CO.SAR Cotton Mill, was designed by the engineer Fausto Cella in 1954 and was financed by the Banco di Sardegna. In 1957 he was already active and worked until 1967, when he closed for bankruptcy. 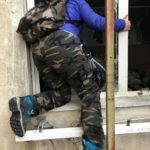 The CO.SAR asked the City to buy the property to turn it into a covered market considering its suitability (presence of running water, electricity, facilities according to law, etc) but the question did not receive immediate response and ended up in oblivion. In 1972 the building was occupied by a family of carpenters and a building cooperative, but when it collapsed in 1995 it entered a state of total abandonment. From that moment various projects were presented for its redevelopment and the inhabitants of the St. Augustine district have always asked for a local square as it is poor in services (I have always been able to confirm and since I often go to Alghero). Up to now, they have limited themselves to removing only asbestos from the roofs in order not to let the neighborhood breathe. Previously it was owned by the Region of Sardinia that gave it to the City for the symbolic figure of € 1 and for its rebirth have been allocated over 3 million on the last project approved in March 2017 with completion date in 2022. Currently we plan to build an artistic, cultural and theatrical center that also exploits the over 1000 square meters of surrounding green space; I am informed by asking some inhabitants of the area who do not believe in this redevelopment. 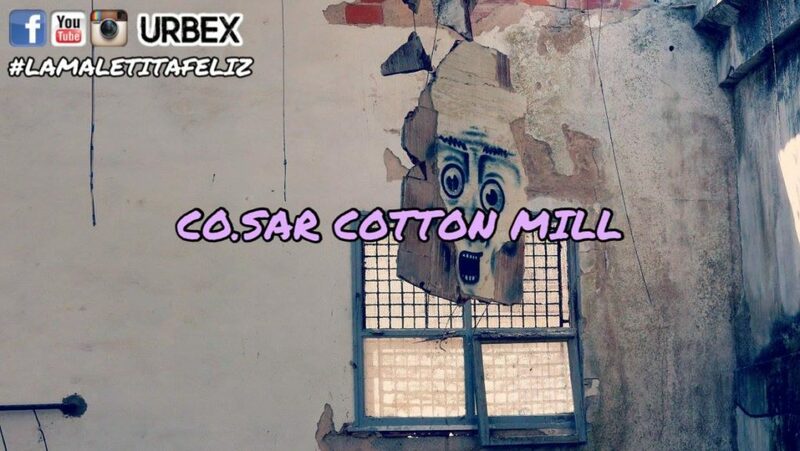 The CO.SAR Cotton Mill is controlled by some residents of the area to avoid illegal settlements, but if you tell them that you want to take pictures they do not object. Take a pair of scissors with you because there is a large amount of brambles.